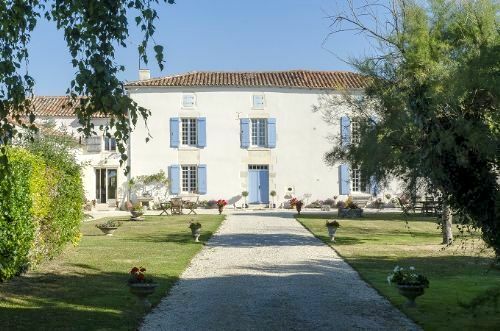 This cluster of two elegant gites combine stylish interiors with fantastic parent-friendly touches from a warmly heated pool to a huge list of nursery gear and toys, plus handy services such as babysitting, which allow parents the luxury of travelling light and relaxing from the outset. 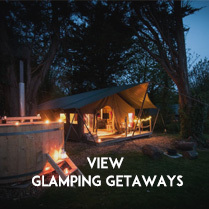 Not only that but they also have an idyllic countryside location within a short stroll of a handy bar and restaurant and a slightly longer cycle to a bustling village with handy shops, bistros and a lively evening market scene in summer. The sights and shops of La Rochelle are a short drive away whilst the miles of endless beaches and 'Paris on Sea' in Il de Re are just a little further. All in all, its a little slice of heaven! 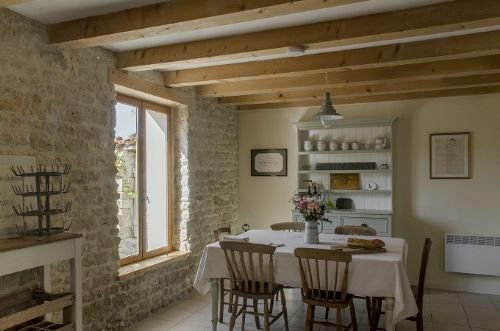 Transforming two 18th century barns into modern-vintage gites has allowed the owners to combine their passion for French antiques with all their parental know-how in the art of happy, hassle-free family holidays. 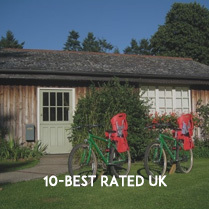 Having raised their own children here, they’ve thoughtfully designed and equipped the gites with families in mind, from a long list of helpful baby and toddler gear, to making the garden a safe, fun place to play. Besides busying themselves with keeping the gites and gardens spotless and ship-shape, the owners spend spare time scouring the French ‘brocanterie’ markets to find unique pieces of vintage French furnishings and antiques, from the quirky and shabby-chic to classically elegant. 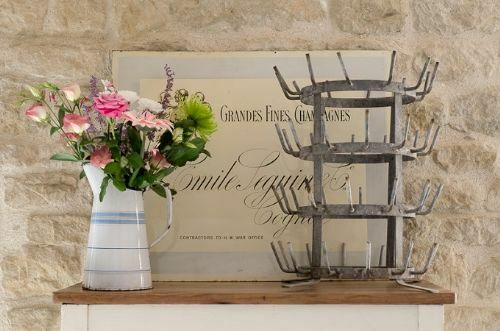 They now sell many of their finds online but have also made them a feature of the gites to bring out their period French character – iron bedsteads here, colourful tin coffee pots there. 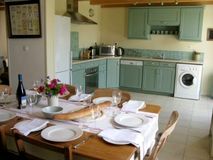 While capturing the essence of authentic French living, the gites also provide every modern comfort and convenience parents rely on, from flat screen TV, DVD player, iPod dock and free wi fi to a large collection of toys, games and books. Hand-painted units in the kitchens are complemented by high quality modern appliances and keen cooks will find all the equipment they need, including a hand blender for wuzzing up baby dinners. The living rooms are furnished with comfy sofas and armchairs to flop into and the bedrooms are the epitome of easy elegance, with views over the pool, garden and neighbouring sunflower fields. The gites are designed for up to 6 people, so it’s handy to have both a family bathroom with WC and a separate shower room with WC on the ground floor. 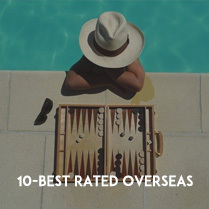 Each gite has its’ own private, gravelled garden, with teak dining furniture, loungers and a barbecue, but beyond this a large, lawned garden and enclosed pool area provides a natural haven for children to play. Little ones can switch between the swings, slide, sand pit, small trampoline and trikes or go in search of the friendly family cat, Twiglet. There’s plenty of room for a football knock-about, badminton or boules and fruit trees provide a shady spot for a picnic. The warmly heated swimming pool has Roman steps at the shallow end for easy toddler access and inflatable pool toys are provided, while parents can chill out on the surrounding deck, furnished with teak steamer chairs, plump cushions and parasols. Le Cognassier and Le Cerisier are both designed for up to 6 people plus two babies in cots which can be provided. Both gites have three bedrooms, comprising one with a king size bed, one double and one twin room. The gites have a shower room with WC on the ground floor and a family bathroom upstairs. 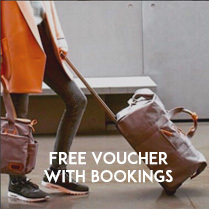 There is plenty of room for 2 families holidaying together or to accommodate grand-parents. Please note: On confirmation of reservation requests a 1.20 euro per adult, per night, tourist tax will be added to the cost of stay. 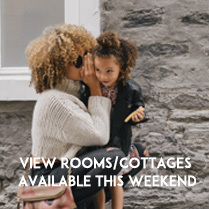 Sleeps 6 + infants in 2 x double bedrooms and 1 x twin room. The nearest bar/restaurant is 5 minutes walk (ad hoc opening) and the local village, Loulay, is only 2 minutes drive, with the all-important boulangerie, mini-market, pharmacy, bank and a bar/restaurant. Bike hire is easily arranged. 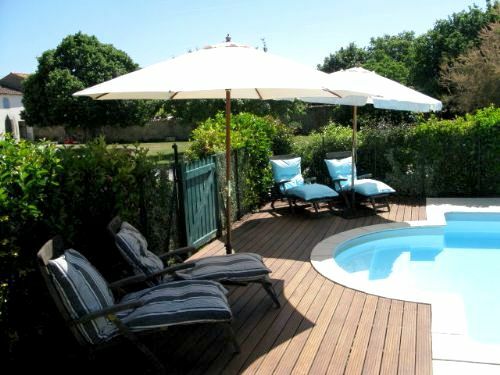 The two gites share a large heated (pump) and gated pool with sun loungers and terrace area. The villa's owners offer babysitting on request. This baby-friendly villa offers equipment including: 1 wooden, 1 travel cot ,1 highchair, 1 baby bath, potty, 2 stairgates , 1 set of bed guards, plastic crockery, plastic cutlery and sippy cups. There is also a hand blender, step stool, changing mat, UV tent, black out blinds, cot bedding, booster seat, stroller, sun parasol, non-slip bath mat, children's toilet seat, and mattress protectors on all beds and cots. 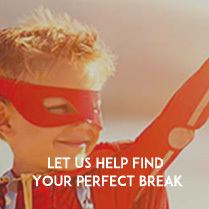 This child-friendly gite offers kids books, general toys, U-rated kids DVDs, childs table and chairs for drawing. Outdoor toys provided for mini guests include buckets and spades, trikes, swings and slide, sand pit, mini trampoline, inflatable pool toys, and play tent. Each gite has its own private, gravelled garden, with teak dining furniture, loungers and a barbecue, but beyond this a large, lawned garden and enclosed pool area provides a natural haven for children to play.